I started this blog back in 2011 as a fun way to share where I was dining and favorite places I was discovering. I have kept my blog current with posts and I have also put a lot of focus on social media so I can keep expanding my reach. As my audience has continued to grow I get multiple offers to promote businesses and products. I love nothing more than helping people get the word out, but with that comes much time and effort. I would love to discuss various types of advertising options with you. I have done Kickstarter campaigns. I will write a post, promote it on Facebook, Twitter, Instagram and Pinterest (if possible). Before the Kickstarter campaign ends I will do one last round of promotion. Basically I will drive as much traffic to you as possible. Here is an example of one that had up to 50 Facebook shares. I am willing to run giveaways through my blog to help promote businesses and products. All this will be posted to my Facebook, Twitter, Instagram and Pinterest accounts. If you have a product that you would like me to review we can talk about what that might look like. I do not cook items, but I have mixed some drinks. 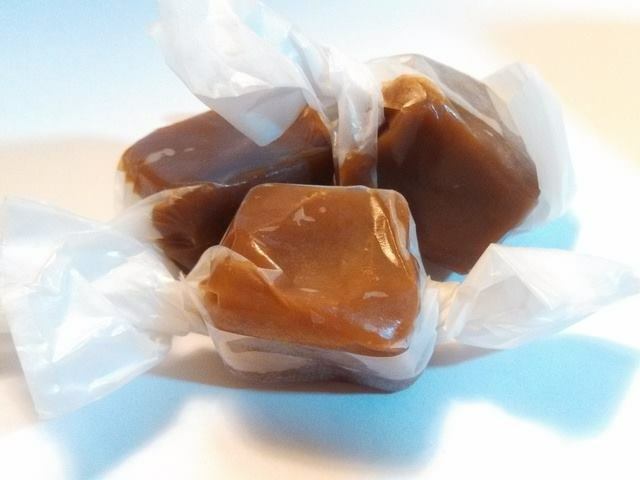 I do love local products like those yummy caramels pictured above. I welcome ads and banners on my blog for products/places which would be of interest to me and my readers. There are 2 sizes available, 125 x 125 or 125 x 250. I have done sponsored posts, which you write. IF approved I will keep the post on my blog for however long you choose. You may also add a sponsored link to the end of one of my posts. I must disclose on the post that it is a sponsored post. Whatever the kind of advertising is, I want to make sure it’s something that is relevant to my readers, that are looking for a great place to dine in Portland, and that it reflects my honest opinion of a product or place. All advertising needs to be prepaid through Paypal. New sites popping up every day showcasing a cities ‘hot spots”, “hidden gems” or “Top 10 Places to Dine” If you are looking for me to write a blog post or add links to you from one of my already existing posts please contact me about pricing. Pricing will vary depending on the project. I love doing these, since I do have favorites and I have searched to find those hidden gems and I do love sharing those. We’re launching a membership club in April and Portland is our first market. Members use our mobile app to get a discount at locally-owned businesses that we hand-pick… restaurants to nail salons, hotels to mechanics. It may be something that fits your blog concept, since Food & Drink is our largest category. If so, I’d like to find out some stats on your blog, along with costs for giveaways, reviews, and/or ads, please.